The Newseum is selling “Make America Great Again” hats — as well as T-shirts proclaiming “You are very fake news” — on its website. The hat with President Trump‘s campaign slogan sells for $14.99, or $10 less than the official one on Trump’s campaign website, and is also a slightly different design. 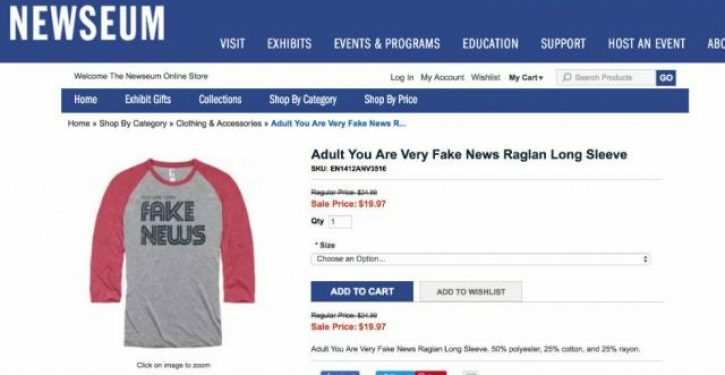 The “fake news” T-shirt is currently on sale for $19.95. The items drew attention from journalists on Friday after being highlighted by the Poynter Institute, a journalism nonprofit. 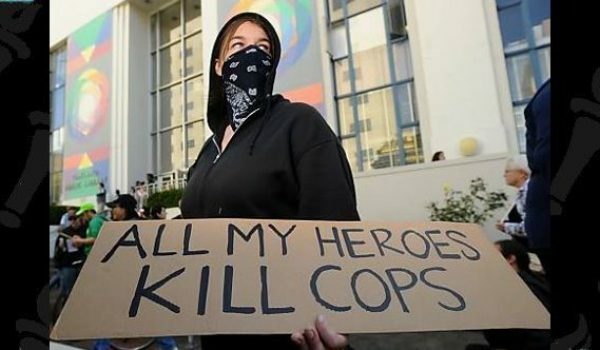 “As a nonpartisan organization people with differing viewpoints feel comfortable visiting the Newseum, and one of our greatest strengths is that we’re champions not only of a free press, but also of free speech,” a Newseum spokesperson said in a statement to The Hill on Friday. Trump often characterizes the media as “fake news” in tweets and during campaign rallies, including most recently in Pennsylvania on Thursday night. Tensions between the Trump White House and the press erupted again this week when press secretary Sarah Huckabee Sanders refused multiple requests from CNN reporter Jim Acosta to state definitively that the media is not an “enemy of the people,” as Trump has said in the past.